It is almost a craze among the teenagers and women these days to have a lighter complexion. Among these people, some may experience imbalanced skin tone, such as darker complexion on the neck, but fairer in the face. While the rest just deal with dark pigmentation of the skin that is caused by sunburn. Prolonged exposure to sun can make your skin go dark, dull and dry. Also, prolonged use of some chemical products can cause this too. It is indeed undeniable that there are many skin whitening creams available in the market these days. But almost 60% of the products appear to be made of chemical and is very harmful. Any products that works overnight can bring negative side effects too. Many people work hard to achieve fair and flawless skin. The market is flooded with skin-lightening creams and lotions. But such products have harmful chemicals that can ultimately damage your skin. Oftentimes the products are expensive, too. It is always safer to try natural remedies than to opt for products.You can save yourself some time and money by using natural remedies that will effectively brighten and lighten your skin complexion Hence, here are few skin whitening home remedies that are really effective in lightening your skin. Here are the top 9 ways to lighten skin naturally. 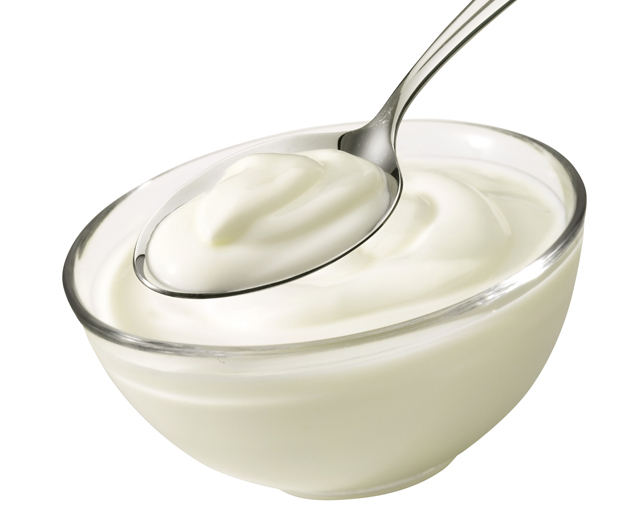 Yogurt, a by-product of milk, has many nutrients that are good for the skin. It also contains lactic acid that has bleaching properties. The following remedies are suitable for all skin types. 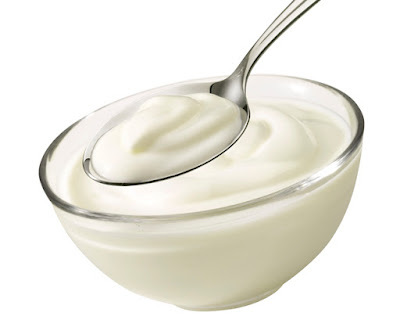 Alternatively, mix one tablespoon of fresh yogurt with one-half tablespoon of honey. Apply the mixture on your face and neck. Leave it on for 10 to 15 minutes and then wash it off with water. Do this daily to improve your skin tone and complexion. You can also add a little lemon juice and some oatmeal to yogurt to make a thick paste, and apply it as a face mask. This remedy will also help keep your skin supple and moisturized. The acidic property in lemons works as a natural bleaching agent for the skin and the high amount of vitamin C in them encourages new cell growth. Also, lemons have antioxidants that are very good for skin complexion. Dip a cotton ball in freshly squeezed lemon juice and apply it directly on your face. 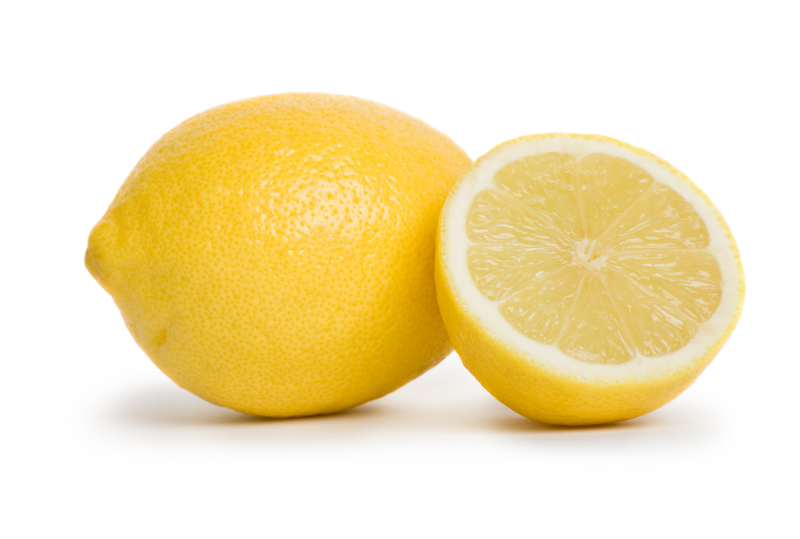 You can even rub a cut lemon directly over the affected skin and allow the juice to stick to the skin. Leave it on for at least an hour and then wash your face with water. Do this once daily. This simple remedy will surely lighten your skin complexion and can also prevent the development of scars on your face. Mix three teaspoons of lemon juice and one teaspoon of turmeric powder. Apply this mixture on the skin and leave it on for half an hour. Wash it off with water. Do this once daily. Alternatively, mix together one teaspoon each of lemon juice, powdered milk and honey. Apply it on your skin and leave it on for 15 to 20 minutes before rinsing it off. Do this daily or every other day. Note: When using these remedies, be sure there are no open wounds on your skin. The acidic nature of lemon juice can cause pain in open wounds. Also, lemon juice may not be suitable for sensitive skin or if you are allergic to lemons. 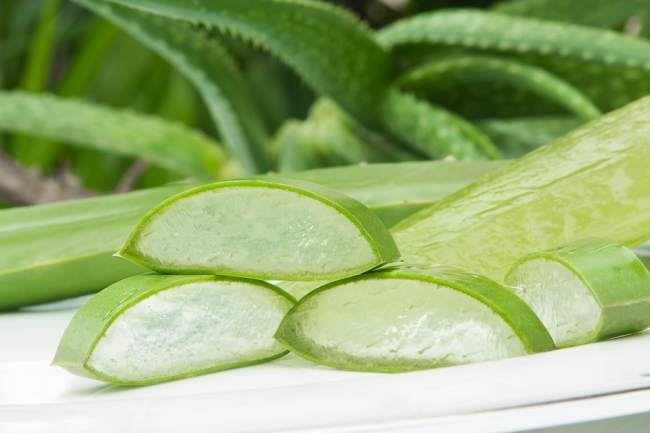 Aloe vera can alleviate hyperpigmentation and restore your skin’s original color. Hyperpigmentation is one of the main causes of uneven skin tone. Also, the cooling effect of aloe vera helps regenerate new cells and rebuild damaged tissue, which is important for healthy skin. This simple remedy using aloe vera gel can lighten dark spots and improve your overall skin complexion. Honey helps bleach skin while also acting as a moisturizing agent. Dry skin is a common factor that contributes to an uneven skin tone. 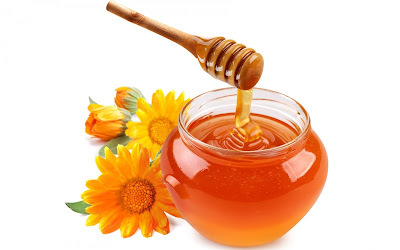 Honey also has antibacterial properties that can help fade age spots and acne scars. Apply pure honey to your face, leave it on for a few minutes and then wash it off with lukewarm water. This simple remedy will help remove dead skin cells, making your skin appear brighter and fresher than before. Do this once daily. Gram flour is one of the best ingredients for people who wish to lighten their skin complexion. It contains various nutrients that help keep your skin very healthy. Using the remedy below every other day will help remove excess oil from your skin while retaining your skin’s natural moisture. 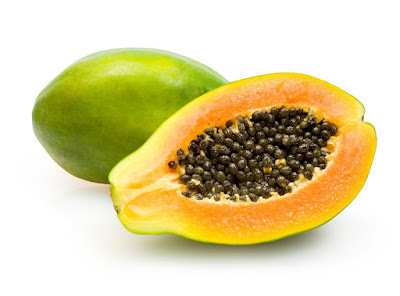 Papaya is regularly used in various beauty treatments and can also be used to lighten your skin complexion. Papaya is believed to contain natural bleaching properties and the various nutrients in it will make your skin glow with health. Eat papaya as a fruit. The general cleansing properties of papaya will cleanse the skin of impurities that could be causing it to darken. Rub the inner part of the skin of a papaya on your face. Allow it to dry. Then wash your face with cold water and pat it dry. This will give your skin a nice glow. Do this daily. Mash a ripe papaya and mix it with one cup of freshly squeezed lemon juice. Massage the mixture all over your face and neck. Leave it on for at least 30 minutes before washing it off with cold water. Do this at least once a week to notice a visible change in your skin tone. Mix turmeric powder and milk cream to make a thick paste. Apply the paste on your skin. Allow it to dry and then wash it off with lukewarm water. 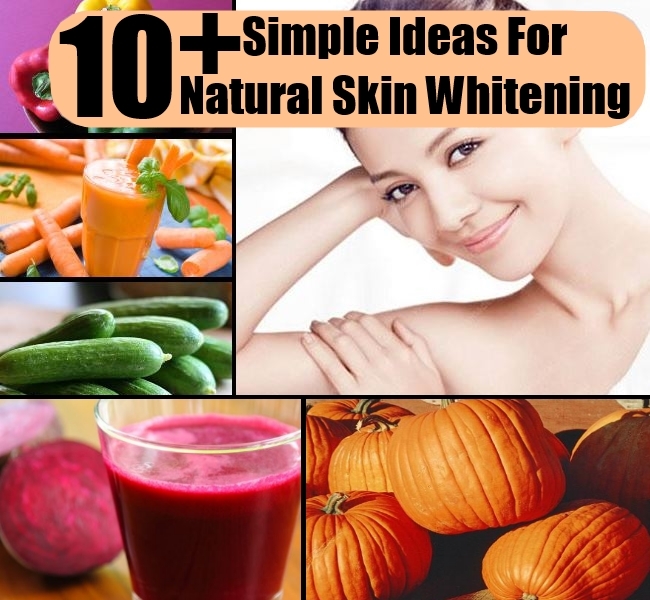 When followed regularly, this simple remedy is really effective for skin whitening. mix two teaspoons of gram flour, one-half teaspoon of turmeric powder and one teaspoon of lemon juice. Apply this mask and leave it on for 20 to 25 minutes or until it is dry. Scrub off the dried mask and then rinse your skin with lukewarm water. Cucumber binds collagen and ensures that your skin is firm as well as supple. Supple and firm skin often has an even and light skin tone. 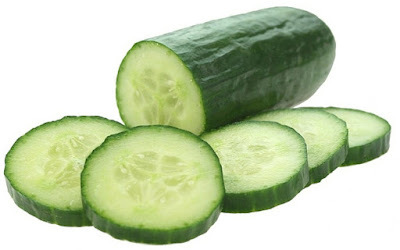 Cucumber also has a cooling effect on your skin. It is suitable for all skin types. Place cucumber slices directly on the dark skin areas in need of lightening treatment. Leave them on for a few minutes, remove them and then rinse your skin with lukewarm water. Do this twice daily. Grate a cucumber and mix it with honey to make a spot-reducing mask. Apply the mask on your face and neck. Leave it on for 15 to 20 minutes and then rinse it off with cold water. Do this twice daily for effective results. You can also mix one teaspoon each of lemon juice and cucumber juice. Apply it on your face, leaving it on for 15 to 20 minutes or until it dries. Wash it off with water. Do this once daily. The best way to encourage the growth of new skin cells to improve your skin tone is to get rid of old skin cells. Oatmeal helps exfoliate the skin, leaving it supple and soft. Mix oatmeal with tomato juice and apply the mixture on your face. Leave it on for 20 minutes and then wash it off with cold water. 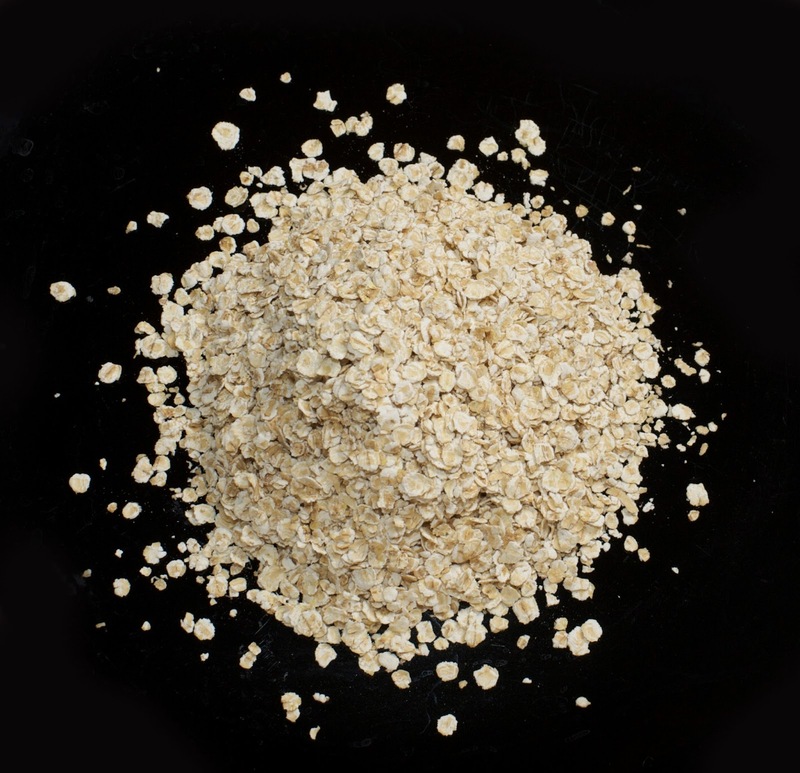 While rinsing, rub it gently so that the oatmeal can scrub off the dead skin cells. Do this daily. mix one teaspoon of oatmeal powder, a pinch of turmeric and a few drops of lemon juice to make a thick paste. Apply it on your face and let it dry. Wash off the dry mask with water. Do this once daily. Follow these natural remedies to lighten your skin complexion. However, bear in mind that these are very effective but will take time and patience to achieve your desired goal. Also remember that healthy skin is as important as a beautiful skin tone. So, try to maintain healthy skin also. Have you tried any natural skin lightening regime? Kindly share your thought. I have tried out aloe vera and honey. 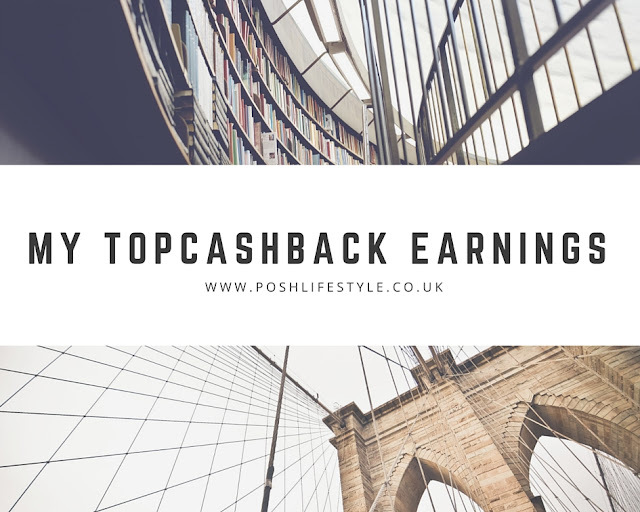 It really works but you need to remain consistent and regular with the treatment. I used it following the medical facial treatment from cosmedocs and the results are significantly noticeable.